AKIPRESS.COM - Forty-two people in Mongolia were hospitalized and hundreds showed symptoms of illness from contaminated water and soda that health authorities linked to a KFC restaurant in Ulaanbaatar. Authorities from the Metropolitan Professional Inspection Agency said the local license holder of the KFC franchise, Tavan Bogd, was responsible for the 247 cases of diarrhea, vomiting and fever reported this month. Officials said they found serious violations in health standards and a failure in internal hygiene controls. Lab tests detected bacteria in the drinking water and E. coli in soda, Bloomberg reports. Yum! 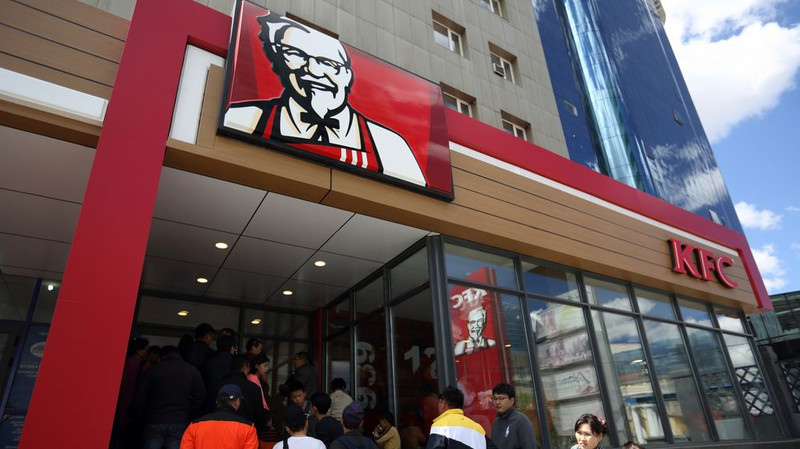 Brands Inc., which oversees the franchise, said KFC Mongolia is cooperating with the government’s investigation. Tavan Bogd, which also holds rights to Yum’s Pizza Hut chain of restaurants in Mongolia, did not immediately respond for a comment. Tavan Bogd Group launched its first KFC location in 2013, under its subsidiary Tavan Bogd Foods, and has since expanded to more than 10 locations in the capital city.